Multi-coated lenses to deliver bright, sharp views in various (i.e., crappy) lighting conditions. A T-mount adapter to connect DSLR cameras to the scope. A large, intuitive focus dial. 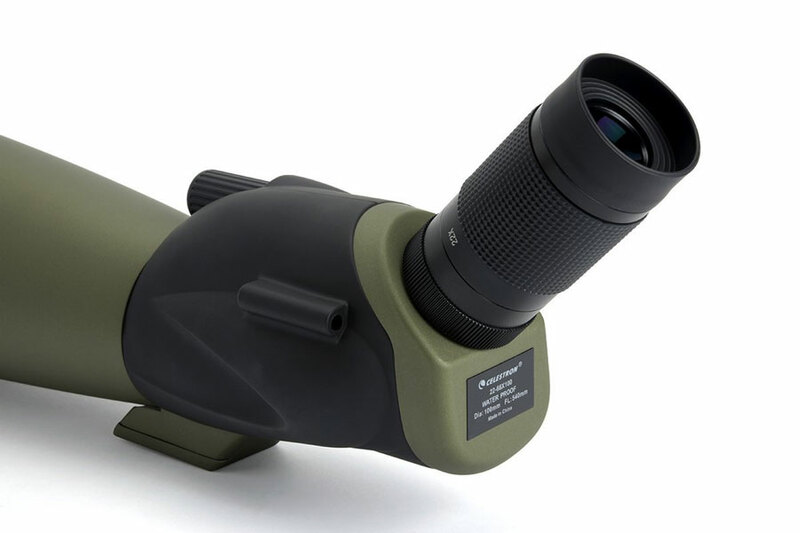 Soft rubber eyecups for comfort; they also fold down so you can use the scope with glasses. 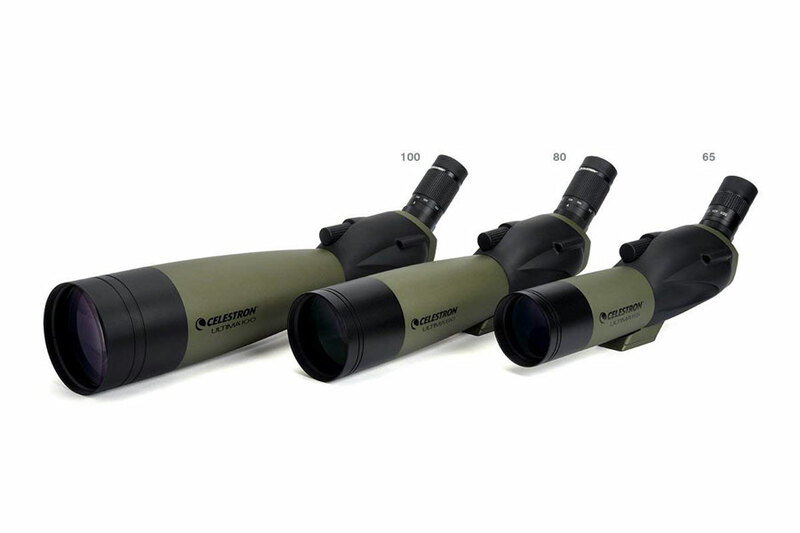 Accessories, such as a sight case, off-set balance rail, objective cover, eyepiece cover, t-mount ring, eyepiece case, eyepiece case pouch, and cleaning cloth. 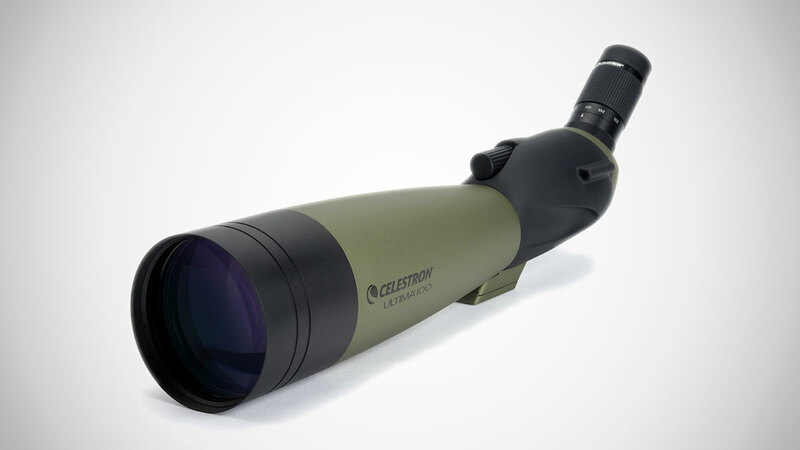 Additional models in the Celestron Ultima line include 100mm straight and 80mm angled and straight spotting scopes.